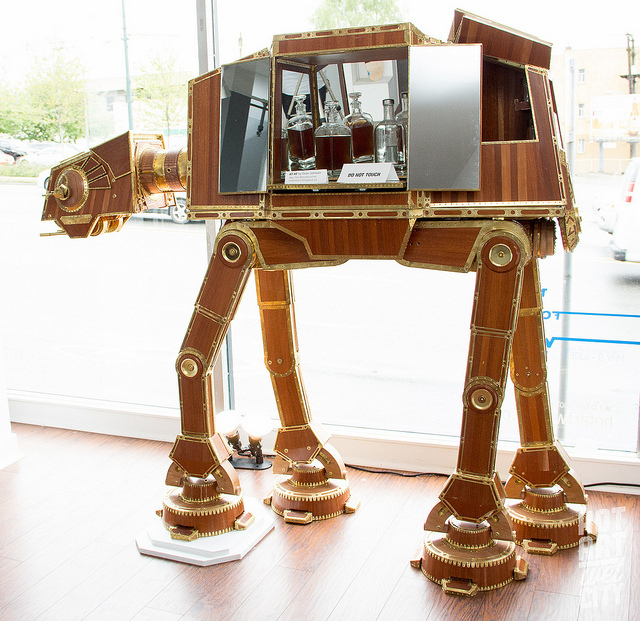 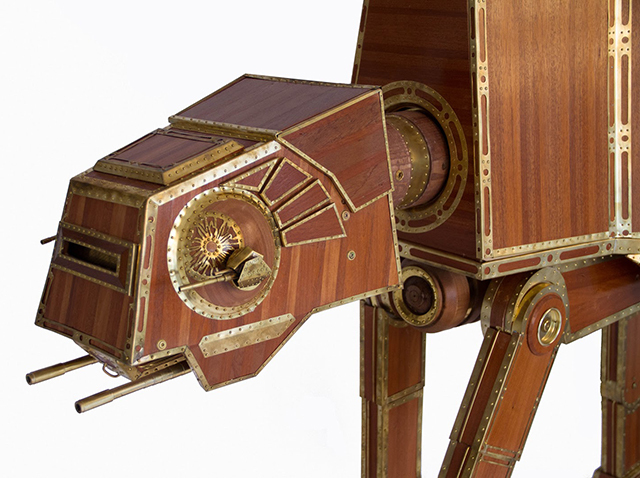 Vancouver-based artist and woodworker Colin Johnson has completed “The Emperor’s Cabinet,” a large handcrafted wet bar in the shape of an AT-AT Walker from the Star Wars films. 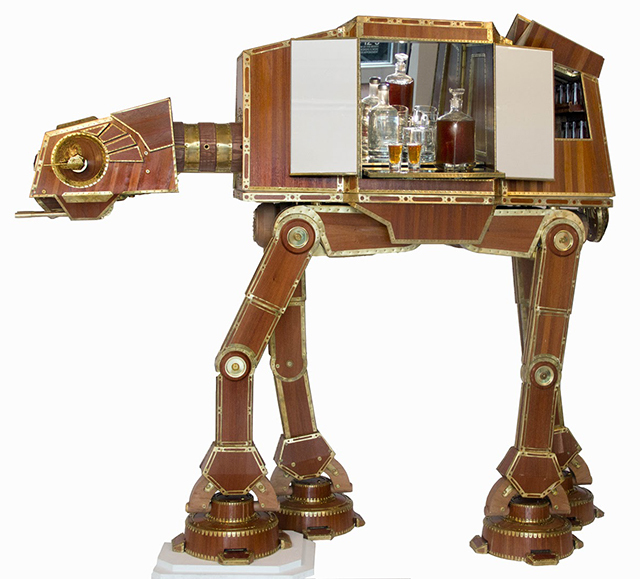 This behemoth is decked out from top to bottom with brass trim and guns, a usable bar with shelves and a mirrored interior. 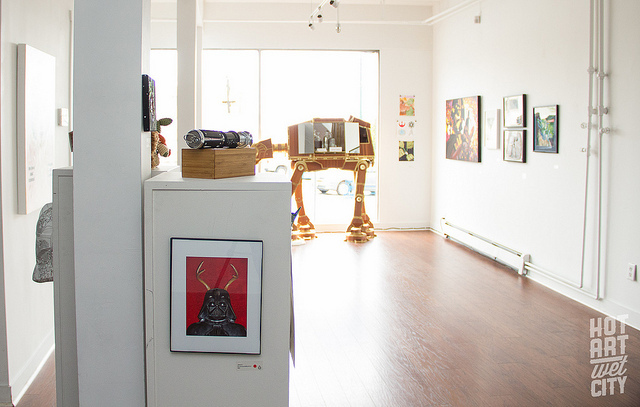 It was recently on display in Vancouver at the Hot Art Wet City art gallery for May LaForge Be With You, a group art show tribute to Star Wars and Star Trek. 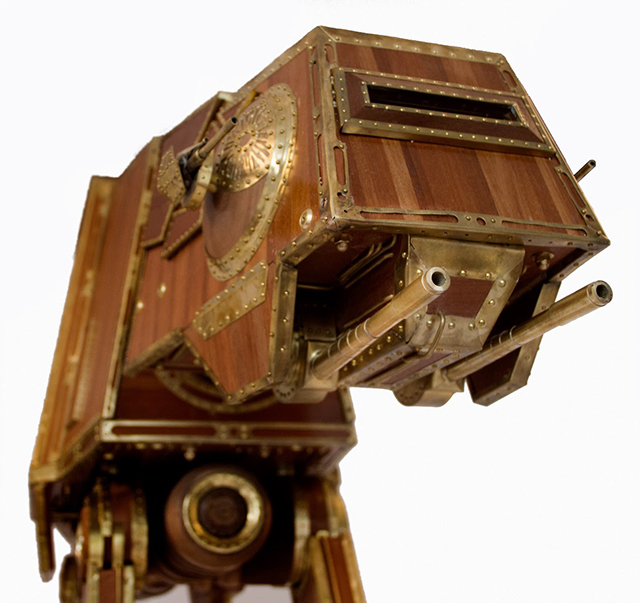 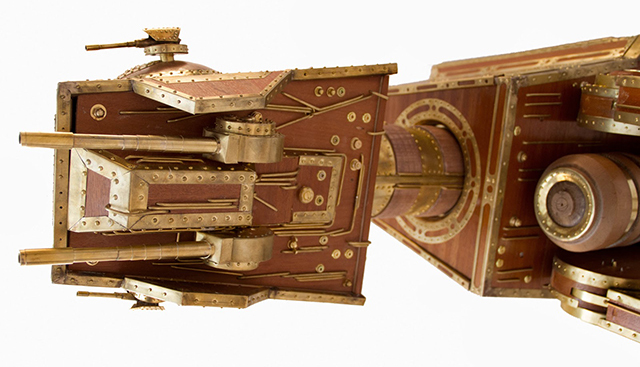 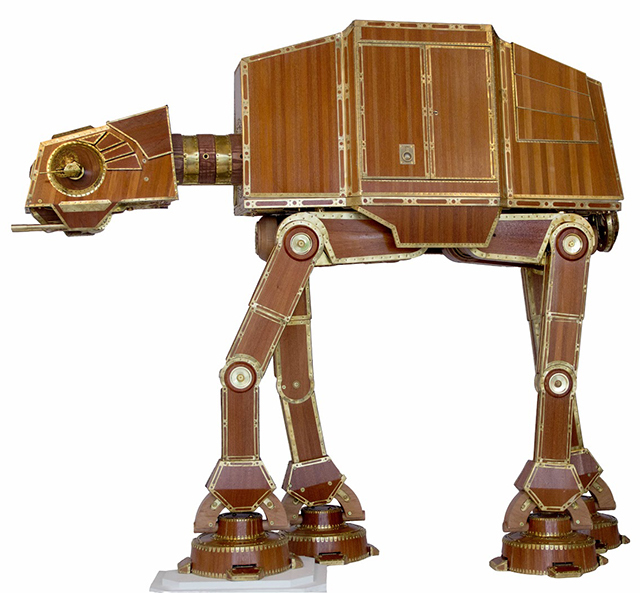 Previously we wrote about Colin’s beautiful wooden AT-AT wet bar, when it was only partially finished. 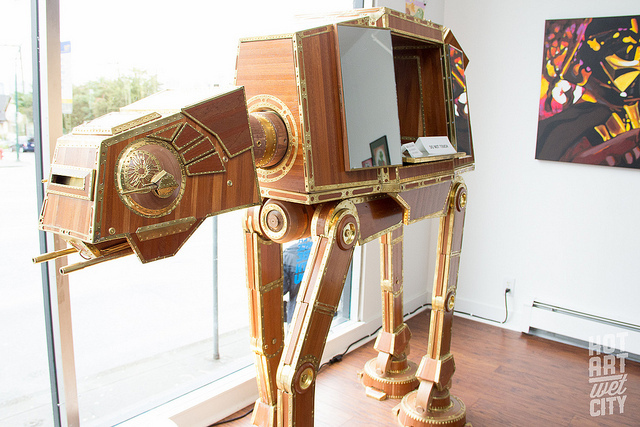 Photographer Chris Bentzen of Hot Art Wet City took a few great photos (seen below) at the May LaForge Be With You art show of “The Emperor’s Cabinet,” with a better sense of scale.